Published: Oct. 9, 2011 at 03:43 p.m.
(15:00) (Shotgun) M.Vick sacked at BUF 39 for 0 yards (S.Merriman). 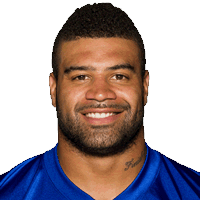 FUMBLES (S.Merriman), RECOVERED by BUF-B.Scott at BUF 31. B.Scott to BUF 31 for no gain (J.Kelce). Philadelphia challenged the fumble ruling, and the play was REVERSED. (Shotgun) M.Vick sacked at BUF 39 for 0 yards (S.Merriman).